With 1.87 billion visitors per month, Amazon has managed to capture more than half of U.S. eCommerce traffic—more than double the traffic of its closest competitors. 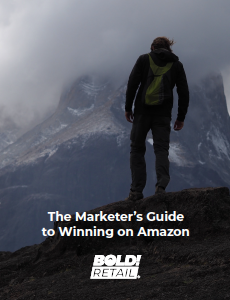 Although the potential benefits are compelling, creating an effective marketing strategy on Amazon can be challenging, even for veteran marketers. If you’re looking to get started on Amazon or want to optimize your current approach, you’ve come to the right place. Please fill out the form to download this guide!